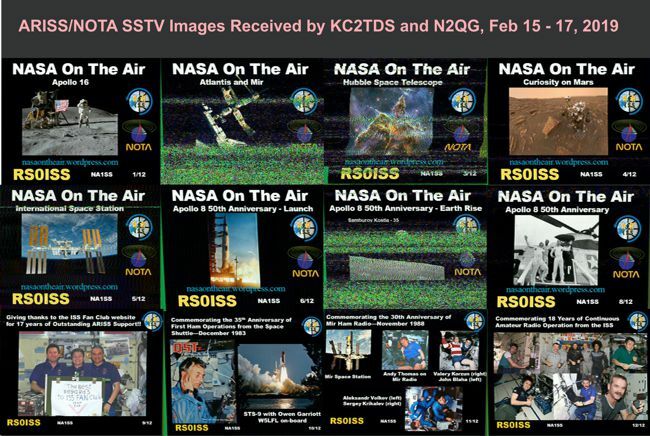 Jason Meyers (KC2TDS) and I (N2QG) had a fun weekend receiving SSTV from the ISS. We tested many different radio/antenna configurations. Along the way, we once again found out that Amazon “China-Special” connectors are worthless. I’m trashing any connectors in my adapter box that are not real AMPs! The real interesting finding from this weekend’s campaign was that the SDR-RTL (fancy version) does slightly better for this application than an AOR AR5000, ICOM IC-R7000, and Yaesu FT-736R! We also tried the FunCube+ Pro against the SDR-RTL against weak terrestrial signals, and saw just a tiny bit extra SNR (the FunCube+ Pro has dedicated SAW filters). Antennas used: 2MCP8A and log-periodic on Yaesu 5500 rotator, and eggbeater with Mirage preamp. 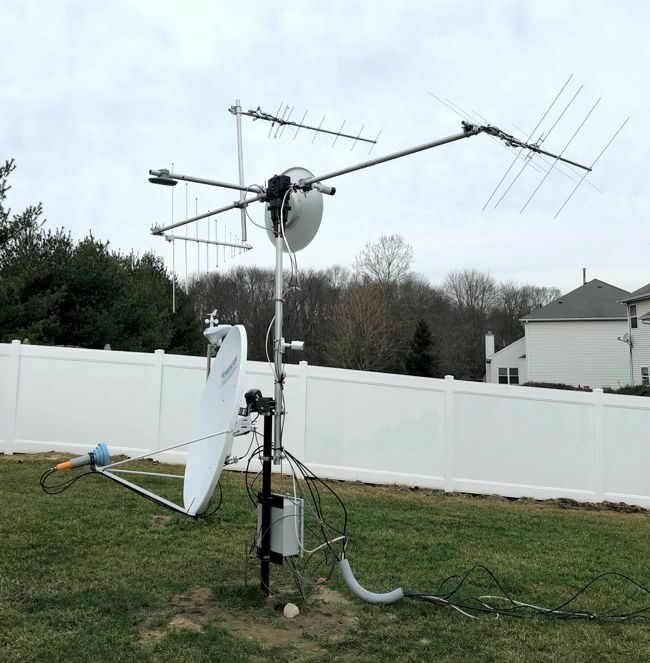 I’m currently rebuilding and expanding my space communication antennas with the intention of being QRV on 23cm EME, as well as being able to receive deep-space probes on the DSN X-band this coming spring. My favorite way of calibrating the Az/El rotors is to use FTA geostationary satellites, and as a reference, I upgraded my C and Ku-band small-dish (120cm offset) with a heavy-duty horizon-to-horizon (HH, H2H) motor. 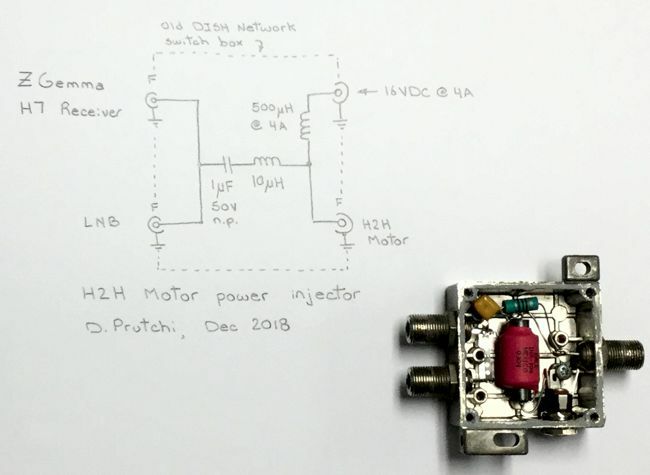 I found that my ZGemma H7 FTA receiver could not handle the current needed to operate the motor, so I built a simple power inserter just for the motor. 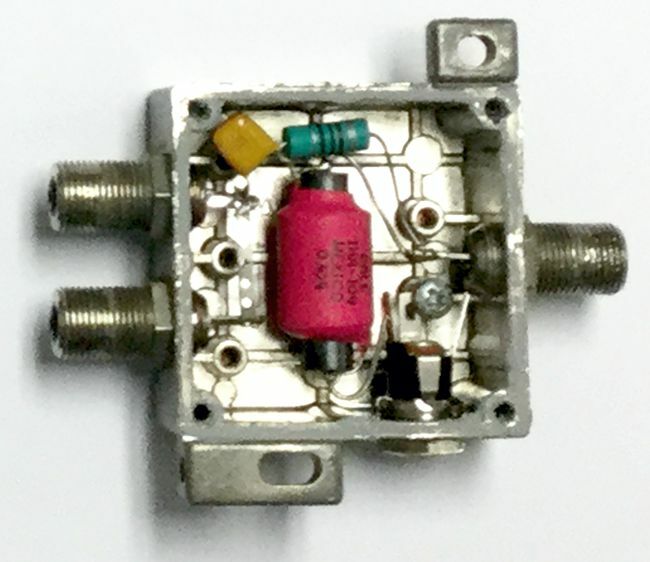 The 1uF non-polar capacitor provides a low-impedance path for the 22kHz DiSEqC signal to the motor, while at the same time the 10uH inductor isolates the RF from the LNB from entering the motor supply. The 500uH inductor (rated for 4A DC minimum) isolates the 22kHz signal from being dampened by the filters in the power supply (an old IBM laptop power supply rated 16V @ 4.5A). 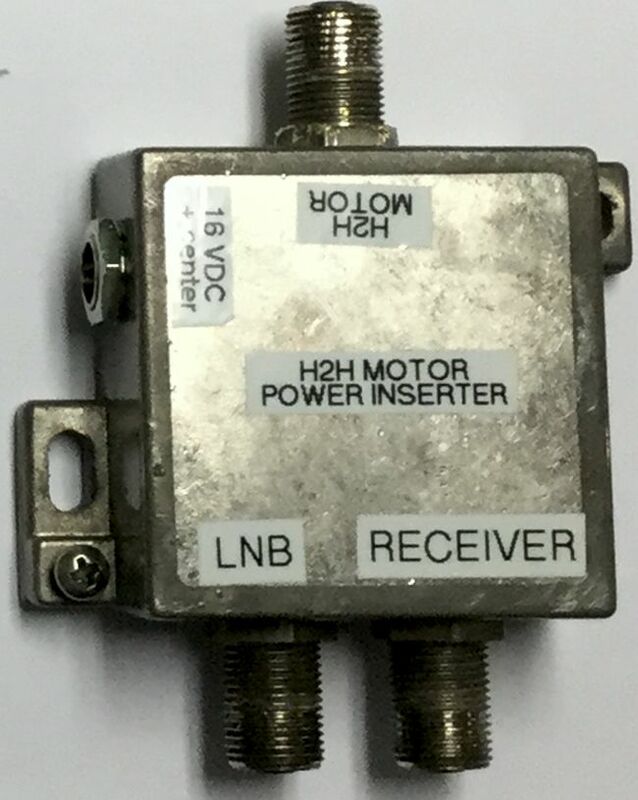 Construction technique and enclosure are not critical, but the connection between the LNB and RECEIVER ports must be kept short. My housing is the enclosure of an old DISH Network switch that I emptied out and modified to add a power connector compatible with my power supply. This works like a charm! 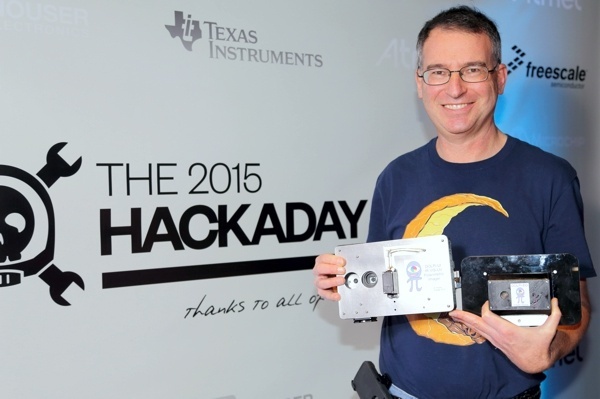 The H2H motor now moves quickly and smoothly without shutting down the ZGemma’s tuners. Engineering Girls! The Prutchi family endorses this video! My brother in-law, an Ob/Gyn physician and retired high-ranking Israeli Army officer is also a history scholar. He recently took us offroading in the Gallil to a rather unknown site that he found through his research on the Franco-British Boundary Agreement of 1920. This agreement established the boundary between the Mandate of Palestine attributed to Great Britain, and the Mandate of Syria and the Lebanon, attributed to France. We trekked to what may be the only accessible border demarcation pillar placed under the Franco-British Boundary Agreement of 1920. In 1922, 38 of these boundary markers were placed along the 49-mile (78 km) boundary. According to Newcombe-Paulet field survey of 1923, 71 boundary pillars were erected on the Syria/Lebanon border with Palestine. Most of these boundary pillars are either inside mine fields or have been removed by looters or people ignorant of their historical significance. 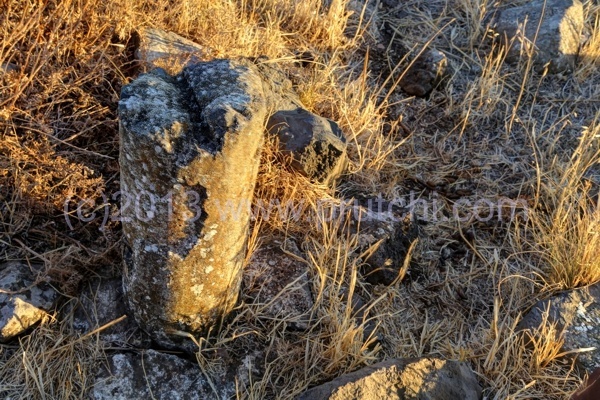 I haven’t been able to find even one picture of such a boundary pillar on the Internet, so my series of shots may be unique… This picture, by the way is of the boundary marker at “Cairn 45”. 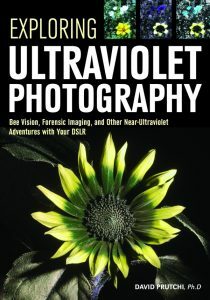 More pictures are available on my Flickr set.